Losing your reading glasses. Only finding one sock in the wash. Missing a Jammy Dodger from your plate. While often thought to be the fault of simple misplacement, or absent-mindedness on the part of the owner, there is in fact a more magical explanation. Those everyday items you can’t find are now in the hands of the Borrowers. 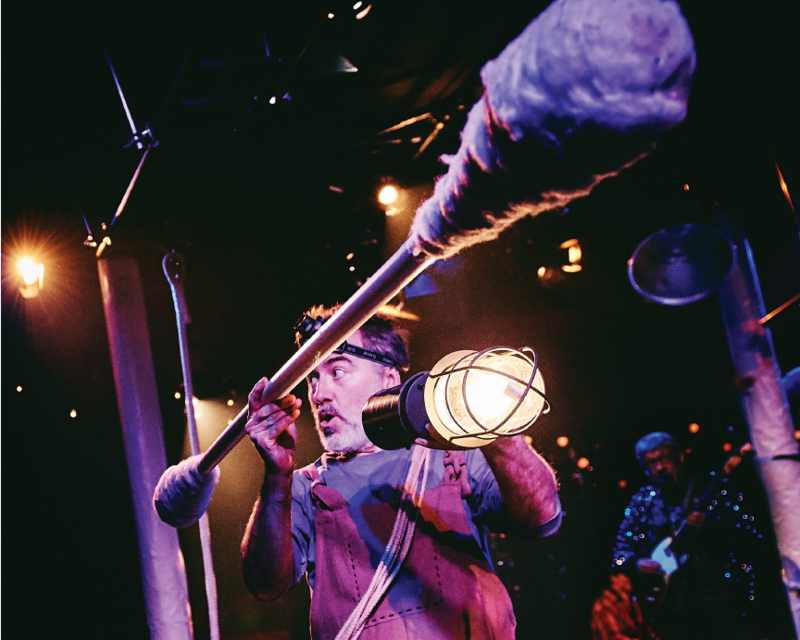 Mary Norton’s tale of tiny people living among us in secret has enchanted children and adults alike for decades, and the tale has now been brought lovingly onto the Tobacco Factory Theatres stage for Christmas by writer Bea Roberts and director Nik Partridge. What results is a heart-warming tale to defrost even the surliest of Scrooges. Beneath the floorboards holding a grandfather clock in a Southville home is the fittingly-called Clock family of borrowers. Father Pod (Craig Edwards), once a daring adventurer into the ‘human bean’ world is now house-bound and paranoid. He frets constantly about his more outgoing wife, Homily (Peta Maurice), who does all the borrowing, and his daughter Arietty (Jessica Hayles), who yearns to escape the home and go out into the wide open. When Arietty goes in search of her mum – late home once again from an expedition – she runs into 10 year old human bean Eddie, and breaks the No.1 Borrower rule. She speaks to him. So begins the great adventure, with the Clocks battling against the wicked Mrs Driver (Lucy Tuck in a show-stealing role). From hoovers to pest-controllers, they fight to hold onto the only life they know. It’s all great fun, with live music from the ‘Odd Notes’ band, fronted by narrator and future-Eddie Simon Armstrong. 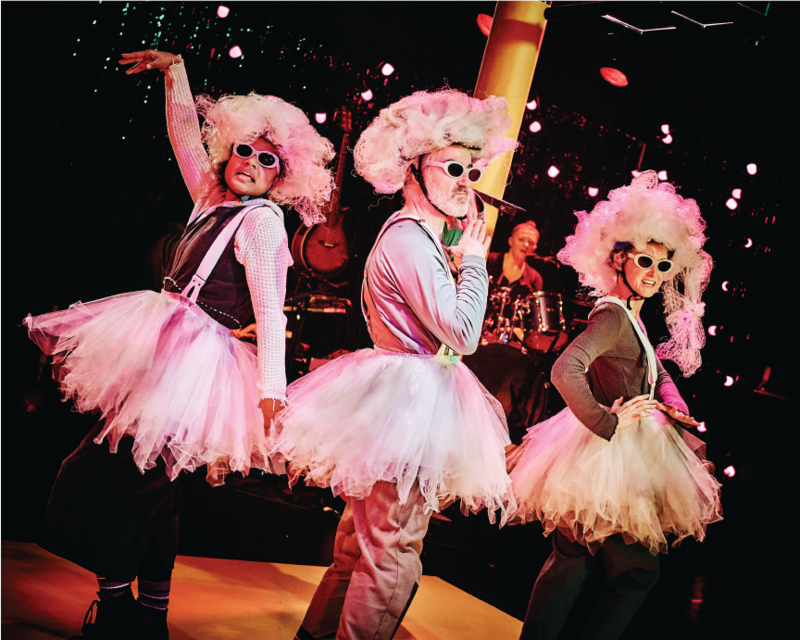 The small world is brought brilliantly onto a normal-sized stage with oversized props – Pod cowers in a sardine tin, Arietty fights with a cotton bud staff, and Homily swoons at owning a chair from a doll’s house. Elsewhere, the Borrower world is animated by a remote controlled crisp packet and climbing apparatus framing the stage. There are some nice touches for a younger audience as well – the villainous Mrs Driver sprays the crowd with bleach during the best part of the show, and Arietty gets covered in a visible quantity of snot when Mrs Driver sneezes. All in all it’s a charming, captivating Christmas show, reminding us that the festive season isn’t about a Coca Cola Santa Claus or Simon Cowell manufacturing a No.1 song. It’s about tiny people stealing our biscuits.